Feb. 21, 2017 | 12:30 p.m. When temperatures warm in late winter and early spring, it's a good time to take advantage of these conditions to plan tree pruning. This practice helps maintain the size of trees, allows better light penetration into their crowns, minimizes disease, promotes better bloom, increases safety by removing dead and broken branches and enhances their overall appearance. Here are five tips for getting started on pruning. 1. What branches should be pruned on young trees? Several types of growths on trees should be pruned, including any crossing branches, water sprouts (shoots growing from trunk or older branches), root suckers (shoots growing from roots) and double leaders (two equal-sized main stems). Some lower branches should be removed to raise a tree's crown. 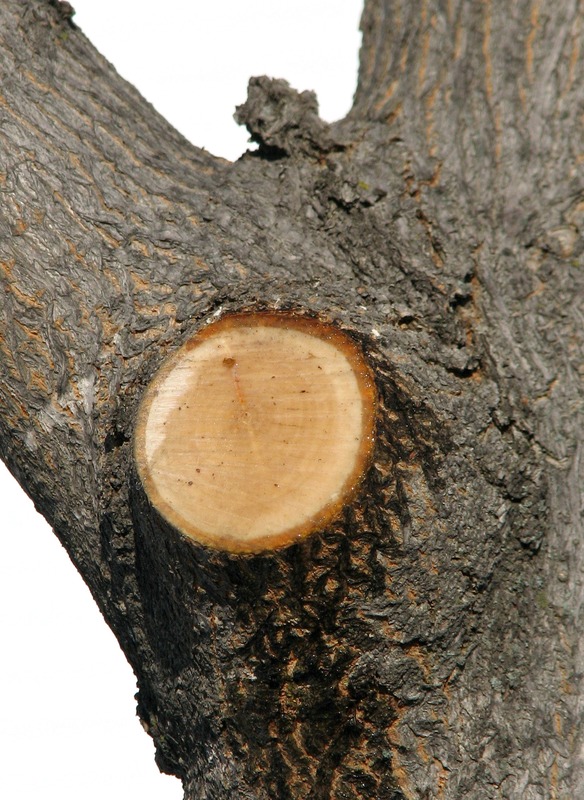 When pruning a limb, a clean, sharp cut should be made just outside the branch without leaving a stub. A branch collar is trunk tissue that surrounds a branch's base at its point of attachment. Scaffold branches — the large limbs that form a tree crown's main structure — should be pruned if they are too closely spaced on a trunk. These branches should be pruned so they are spaced 12 to 18 inches and evenly distributed around the trunk. They should also have wide crotch angles; if a branch grows more parallel to the trunk, it is a better candidate for pruning. As a general rule of thumb, no more than one third of a tree's total crown should be removed at one time. 2. Can "bleeding" trees be pruned now? Yes. Pruning deciduous trees like maples, birches, black walnut, beech, hornbeam, willow and yellowwood when the temperature is above freezing produces excess sap flow from the newly cut ends. Although cut ends may "bleed" and be unsightly to look at, they don't cause any harm to the tree's health. Some trees may "bleed" sap after they are pruned. 3. Do newly planted trees require pruning? Unless a branch is dead, diseased or damaged, newly planted trees should not be pruned. Pruning newly planted trees can reduce their foliage, which produces the nutrients necessary for new root development and establishment. A tree can be pruned once it has been established for two to five years. 4. How should larger limbs be pruned? Larger branches should be pruned carefully without tearing the bark, for better wound closure and for personal safety. The three-point cut method is best when pruning larger limbs: The first cut should be made 12-18 inches from a branch's point of attachment, and should be an undercut that reaches halfway through the branch. This step reduces the weight of a branch pulling and breaking and tearing bark. The second cut should be made a few inches outside the first cut, away from the trunk, and should be all the way through the major portion of the branch, severing it completely. The third cut should be made just above the branch collar to remove the remaining stub. 5. Do the cut ends need to be coated with tree paint or wound dressing? However, pruning tools should be disinfected with 70 percent rubbing alcohol solution before using them. This practice helps prevent the spread of plant diseases between trees.